The Speech-Language Pathology Department at Craig Hospital provides inpatient and outpatient rehabilitation services for people with brain and spinal cord injuries and follows the American-Speech-Language Hearing-Association’s overall goal to “make communication a human right, accessible and achievable for all." 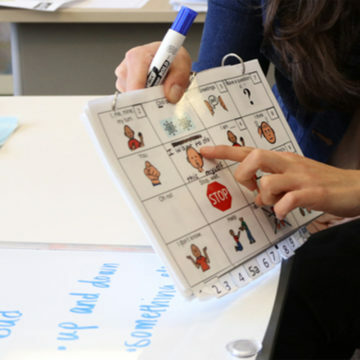 Speech-Language Pathologists at Craig Hospital function as key team members to help identify personally and contextually-relevant goals for each patient. 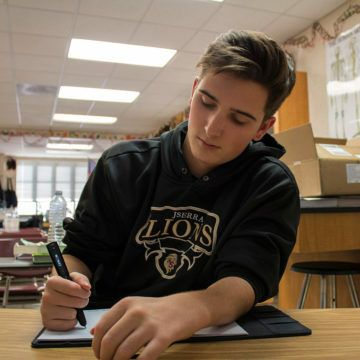 With these goals in mind, we work with the rehabilitation team to facilitate growth of the cognitive and behavioral skills, learning strategies, communication abilities, and swallow functions needed to achieve those goals. Understanding that neurologic injury can affect a person’s cognitive, social, behavioral, and/or emotional functioning, our department takes a holistic, but individualized approach with every person with whom we work. This comprehensive frame-of-mind means we embrace the family as part of the rehabilitative team to help inform rehabilitative goals and plan-of-care. We work together to help the patient and family achieve the skills, independence, and safety necessary and beneficial for daily functioning here and beyond Craig Hospital. 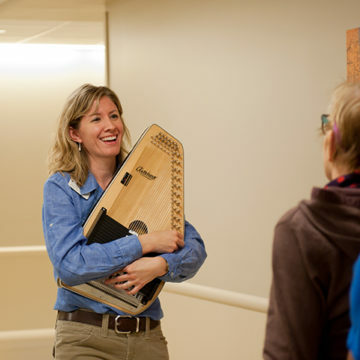 Our rehabilitative expertise is cultivated by a hospital-wide culture that supports translation of research into innovative and evidence-based clinical practice. Aphasia is an impairment of language that can mildly, moderately, or severely impact a persons’ ability to express and understand many aspects of language. This language impairment can impair the ability to express oneself through talking, writing, or gesture (e.g., sign language). Aphasia can also impair the ability to understand what one hears or reads, or what is being gestured. Learn more about the Craig Hospital Aphasia Therapy program at Craig. Apraxia is a disorder that makes difficult the sequencing and coordination of movements. Many different body structures can be affected by apraxia, and as such, there are many different forms of this disorder including but not limited to oral apraxia, apraxia of speech (verbal apraxia), limb apraxia, and conceptual apraxia. This refers to communication difficulties that stem from underlying impairments in cognition, behavior, and/or emotion. Cognition can be described as the means by which we acquire knowledge or understanding. The essential processes by which we acquire information include the five primary senses paired with our arousal, attention, speed of processing, visual-spatial ability, memory, language, and executive functioning. These are all neural functions and consequently, neurologic injury can often impair one or many of these processes. AAC includes all forms of communication, other than speech. 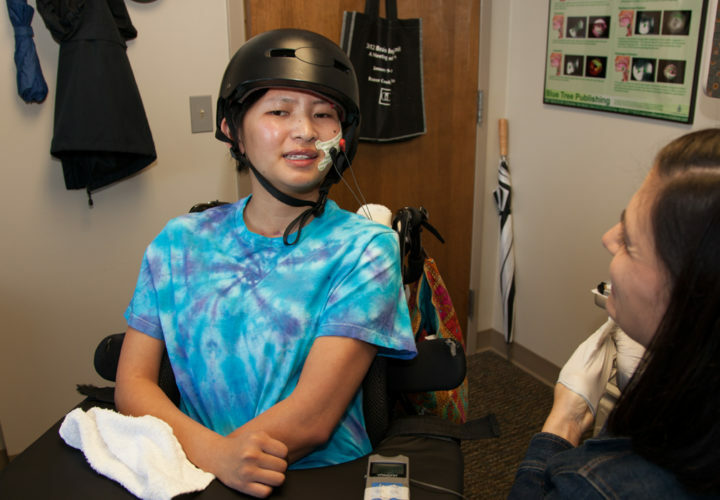 Craig Hospital provides assessment, recommendations, and training to those with severe speech or language problems who may rely on a system to supplement their existing communication or completely replace speech that may be non-functional. AAC systems (whether low- or high-tech) allow individuals to communicate their thoughts, express their feelings, direct their caregivers regarding their wants/needs, and participate in social interactions. Speech-language pathologists also work with those persons who, because of physical or cognitive limitations, have limited or no traditional access to technology (such as phones, appliances/equipment, or computers). 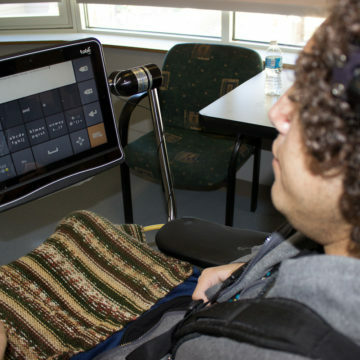 Use of specialty, adapted or assistive equipment or use of speech-recognition technology helps individuals manage their own care/finances/appointments, maintain their social support system, and pursue and achieve successful return to school or employment. Learn more about Assistive Technology at Craig. Dysarthria is a neurogenic speech disorder caused by a weakened, paralyzed, or uncoordinated speech system. The speech of a person with dysarthria may sound sluggish, weak, imprecise, or uncoordinated. Dysphagia is a term used when a person experiences difficulty swallowing food, liquid or managing secretions. Neurologic injury (e.g., traumatic brain injury, spinal cord injury, stroke, tumor, or degenerative disease) can damage the muscles and nerves that are needed to control food or liquid as it moves from the mouth, through the throat, to the stomach. My family member has a swallowing disorder. Are they appropriate for Vitalstim? While all of the speech-language pathologists at Craig Hospital are Vitalstim certified, not all patients are appropriate for this treatment modality. The speech-language pathologist will need to complete an MBSS and determine the etiology of the swallowing disorder and then further determine the appropriateness of this treatment modality. It is a case-by-case decision. My family member was not an inpatient. Are they able to come to Craig Hospital as an outpatient? To determine if your family member is eligible for outpatient speech-language therapy at Craig Hospital, please call Margie Shockley, Outpatient Intake Coordinator at 303-789-8474. My family member’s speech sounds fine. Why are they seeing a speech-language pathologist? While speech is something we do work on, it is only one of the many services we provide. Here at Craig Hospital, your speech pathologist addresses a number of issues including language (expression and comprehension), memory, attention, problem solving, reasoning, social pragmatic skills, AAC, voice, fluency, and swallowing disorders. I heard speech therapists are an integral part of a driving assessment. What does this involve? It is true that speech-language pathologists are involved in driving pre-assessments. Although this may vary from patient to patient, we are assisting in assessing several cognitive skills that are essential for driving. We complete formal and informal assessments to determine the appropriateness and work with other disciplines to assess and treat speed of processing, reasoning/judgment, attention/concentration, ability to multi-task, etc. Do you take speech-language pathology master’s students interested in completing an internship? Yes. Extensive application and interview processes are required for the Speech-Language Pathology Internship. Please visit our Internship webpage for more information and to apply. Do you provide aphasia therapy? Yes, all of our clinicians are skilled in treating all types and aspects of aphasia. You say you treat spinal cord injury. Can you tell me more about that? A speech pathologist’s services may be needed if a patient has suffered a spinal cord injury (SCI). A person with a spinal cord injury may have a trach placed for respiratory needs and sometimes a ventilator will support their breathing. When someone has a trach, with or without ventilator support, we work to achieve eating/drinking and communication goals. Sometimes, these are dual injuries, meaning your loved one sustained a brain injury (BI) in addition to a spinal cord injury. Overall, we assist the patient by providing cognitive support for learning all the new information he or she needs to be as independent as possible in managing self-care and daily routines safely. This is often an overwhelming experience for patients as there is extensive new learning required after this type of injury. We like to be a part of this team, when needed, to help maximize the patient’s success in their SCI rehabilitation program. Craig Hospital's Speech-Language Pathology Department offer a full-time, 10-15 week internship program for graduate students.